1. Peel skin of apple and cut into little pieces. 2. Peel skin of beetroot, carrot, mesh and put aside. 3. Evacuate skin of ginger, cut finely. 4. 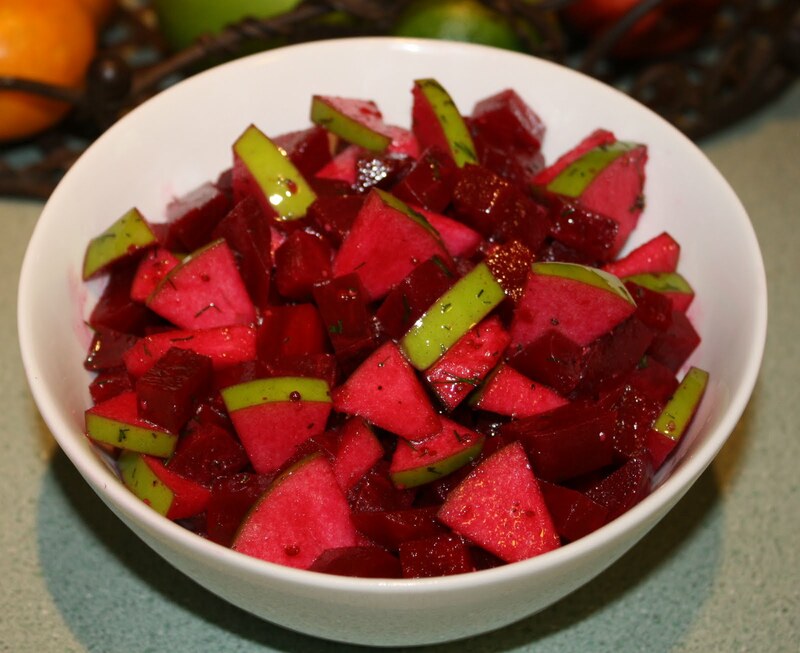 Blend apple, beetroot, carrot, ginger, pepper powder, cumin powder, salt, lime juice in a dish and serve quickly.